Kirkby Lonsdale is a small and relatively unspoilt market town situated on the edge of the Yorkshire Dales National Park. Flanking the three counties of Cumbria, Lancashire and North Yorkshire as it does the town offers a tranquil and picturesque base from which to explore the English Lake District, the Yorkshire Dales and the Forest of Bowland. 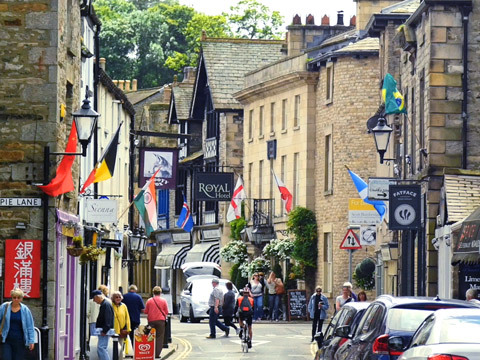 Kirkby Lonsdale itself is a historic, quaint market town with a growing reputation for high quality independent shopping (it was runner-up in the 2016 Great British High Street Awards), as well as excellent restaurants, cafés and bars and superb accommodation. With so much to see and do in the area, you can choose to keep yourself busy or perhaps simply relax and enjoy the peace and beauty that Kirkby Lonsdale has to offer. Whatever you are looking for, we hope to help you discover your Kirkby Lonsdale.